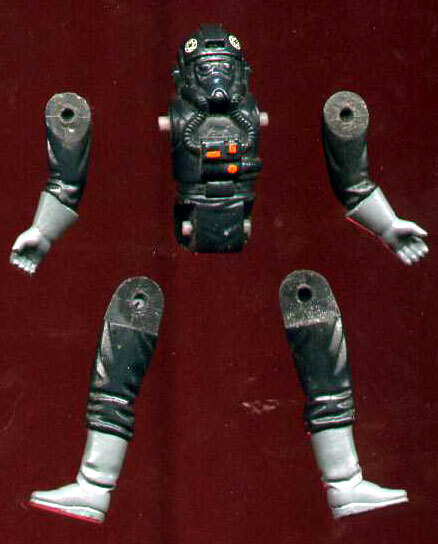 This prototype represents a painted sample of the TIE Pilot action figure. Its function was basically identical to that of a painted hardcopy. That is, it was used as a photography sample, paint master, etc. In truth, it's kind of hard to determine what type of material this piece is made of without scraping of portions of the paint. Parts of it seem to be composed of proto-molded plastic, but it may also contain some cast urethane pieces. But whatever it is, this much is sure-- it's a cool looking prototype of a cool looking figure.